What can I say? My husband, son & I thoroughly enjoyed the show! An amazing experience that I will never forget. What a great voice Alice still has, a true superstar! I would not hesitate to see him again if I got the chance! Alice Cooper always puts on a awesome show, he is a true performer and never disappoints. It's a shame there were no standing tickets for this event though. We were seated around people who complained whenever anyone stood up so it was a big shame that we couldn't stand up and dance - the first rock show I've ever been to where this has happened! Great line up, good to have great support bands - Tubes were fab and the Mission got us dancing. Alice was on top form with good stage show, best part was the orginal Alice Cooper Band coming on at the end. Alice Cooper draws heavily from his love of vaudeville and horror to flavour his hard rock sound to become on of the most visible (un)living icons of rock. The ultimate king of shock rock has now announced his intention to come back to the UK and once again but on an almighty show! The extensive autumn tour sees him play Manchester Arena, TECA - The Event Complex Aberdeen, First Direct Arena at Leeds, Brighton Centre, The O2 Arena in London, Resort World Arena at Birmingham and Cardiff Motorpoint Arena during October 2019. “Now, with 27 studio albums, thousands of live shows, and an ocean’s worth of fake blood under his wheels, rock and roll’s ultimate ringmaster shows no sign of stopping, having just announced a 50th anniversary tour of the UK with openers MC50 and The Stranglers.” - Kerrang! 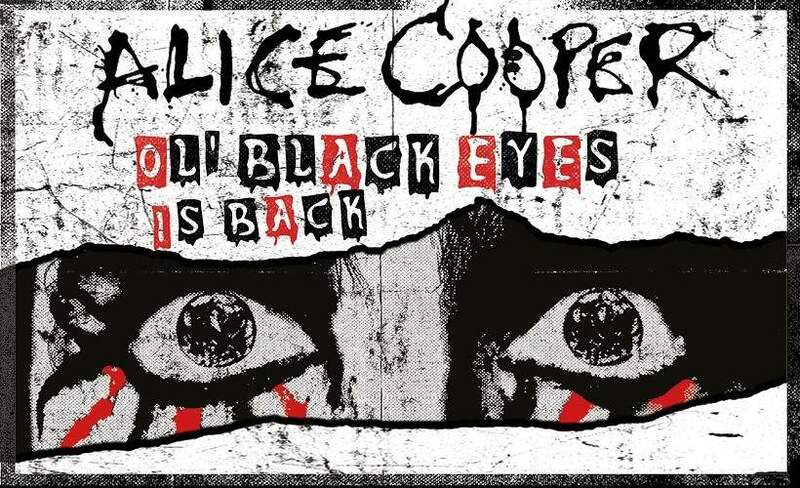 We are very excited to offer you Alice Cooper tickets. The word is spreading fast and so we do urge you to act fast and ensure you book yours before they are all snatched up. Placing your gig ticket order is made easy with Gigantic as you can access the site 24/7 whilst relaxing at home or busy on the go with a tablet, computer or smartphone. The excitement continues to build and we expect Alice Cooper concert tickets to sell very fast. Plus, with only limited amounts being put on sale by the event organisers, you will have to act quickly and place your booking before they all go. If you have any questions, then contact our dedicated customer service team who can assist with every question when selecting from our huge range of essential gig tickets. Remember, award winning ticket vendor Gigantic is the very best place to come to make a stress-free booking before enjoying your big night out. Mumford & Sons, Sundown Festival, Badu X Akio, Alice Cooper and more!